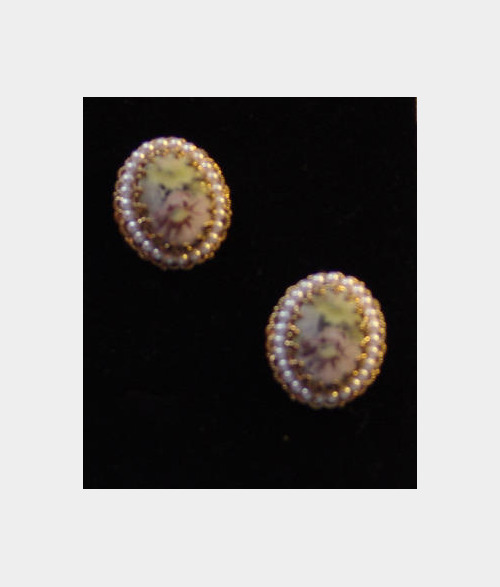 Gold metal design with little pearls and lavender and yellow flower earrings are clip backs. They are marked on back with W Germany and are in very good condition. The picture does not do it justice as I can't seem to focus on it for a better picture. blue pearl jewelry set with earrings. Tell Judy that you saw this ad on BisManOnline!